Help your cat stay in great shape. Why Weight? 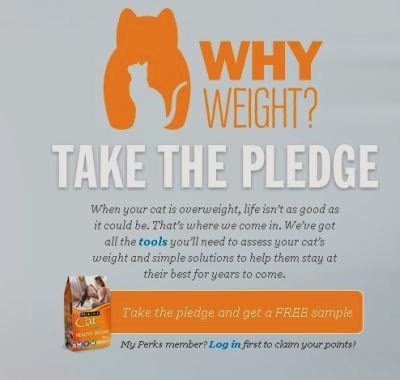 Take the pledge at Purina & get a free sample. Click the link below to go to the Purina website. Once on their website scroll down to click on the orange button that says, "Take the pledge" to get a free sample.